Food Grade Citric Acid, 500g for sale. Buy from The Science Company. Citric acid is also known as Sour Salt. 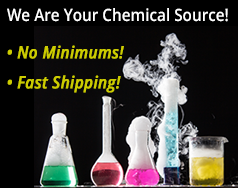 It is a colorless and odorless powder with a strong acid taste. It is very soluble in water and alcohol. Used in food recipes, in some medicine manufacture and in various industrial applications. 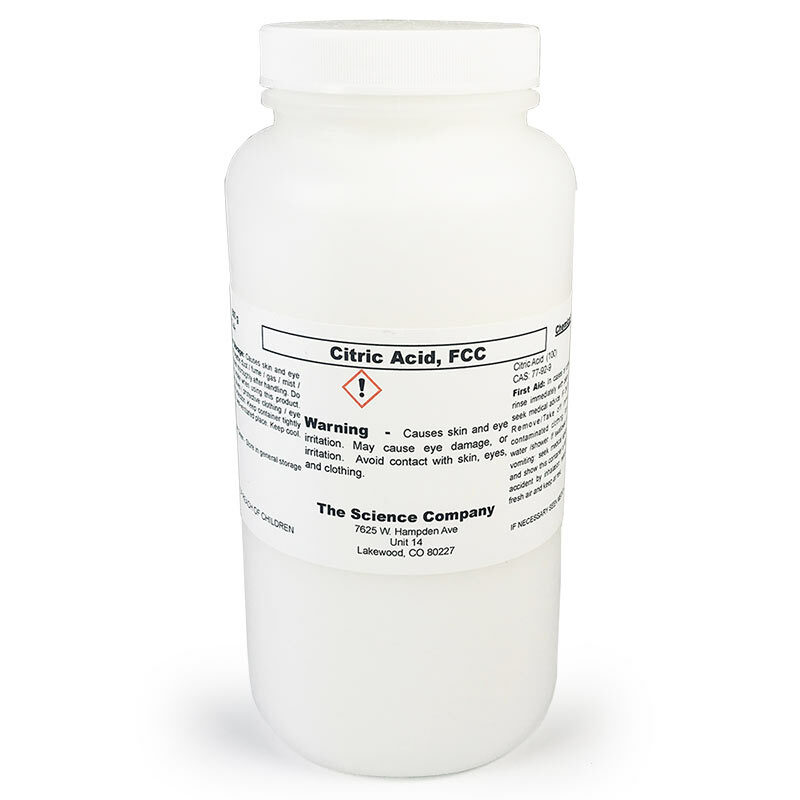 Also used to improve the etching properties of ferric chloride (Edinburgh Etch process). Cleaning Your Dishwasher with Citric Acid. Many dishwasher manufactureres recommend cleaning their product every once in a while with citric acid. If you have hard water and the calcium build up needs to be removed, give this treatment a try. Our 100g bottle is the perfect size for one treatment. Citric acid may safely be used in stainless steel interior dishwashers. Fill the detergent cup with three to four ounces of citric acid crystals and close the cup. Plain dishes can remain in the dishwasher, but patterned dishes and glassware should be removed. Do not place metal items in the dishwasher during a citric acid treatment to avoid tarnishing those items. Run through a normal wash cycle. Follow up with another wash cycle with dishwasher detergent in the soap cup. Repeat process if the mineral build up was especially heavy and one treatment did not completely remove all minerals. A bath bomb, when placed in bath water, dissolves and effervesces. In some recipes it will add scent, color, and other properties to the water. All recipes call for Citric Acid. 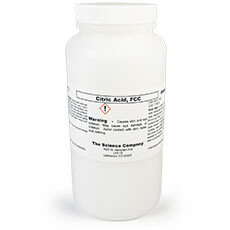 As there will be contact with the skin, be sure to use only FOOD Grade or REAGENT Grade Citric Acid. For much more information, we suggest an article on ehow.com - Go to this link... How to Make a Bath Bomb.